on the closet with care? My family never used to have a fireplace. 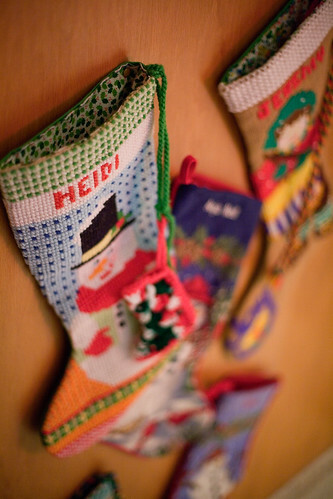 Mom has had one for two years now, but she still hangs the stockings in their traditional place, on the front entry closet door (thumbtacks). They can’t be filled where they are, because hello? One thumbtack barely holds the weight of the stocking, much less the stuff inside. My mom’s idea of stocking stuffers are larger than most family’s main gifts, however. She goes, shall we say, just a tad overboard. That little crocheted stocking attached to mine used to be my cat’s. Even he got Christmas gifts. Hope you enjoy it, and I pray you are looking forward to making your own family’s Christmas season spectacular. But I stole this meme from The Jos. Feel free to play, and leave a link in the comments if you do! If you have yet to make your Thanksgiving pie(s) for this year, may I suggest this beauty? Just looking at it makes me drool. It’s like the best of three worlds–pumpkin, pecan, and cheesecake all rolled into one! Also, once I use up my shampoo, I’m considering going ‘poo free, and today I read this post about natural deodorant, and my mind is churning on that one, too. After all, our skin our largest organ, and as Katie (in the deodorant article) puts it, “One of its job is to absorb.” I want to be as aware of what I’m putting on my skin as of what I put in my mouth. Have any of you ever tried either? If so, what were your results? Today’s post is brought to you by my dear friend Hibby (with a guest appearance by Hubby’s hand). She’s a proud former Minnesotan, a Scandinavian-blooded sweetie. 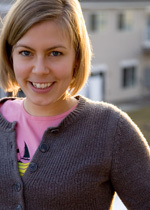 I can’t think of a better person to teach you how to make lefse. Enjoy! God Jul (Merry Christmas). Välkomna till Minnesota Mammas blogg: Svenska Edition! Today brings us 2,000 miles away from Minnesota, to my little kitchen in Los Angeles. We will be making beginner-level lefse, a yummy, cozy, Scandinavian potato crepe that evokes images of warm kitchens in the dead of winter, twinkling Christmas trees, and jingling sleigh bells. Growing up, I loved standing around in the kitchen, eating lefse with my mom and sisters. Never did I think I could make it myself! But here I am, telling you how I did. Join me? Now, there’s a lot of controversy on how to boil the potatoes correctly. If you’d like to know the different options, feel free to leave a comment here. In the end, I peeled and didn’t cut them. Cover them with cold water with a tablespoon of salt and of sugar. I ended up boiling mine too long—oops! You’ll want to boil yours just until a fork pierces easily. Don’t stab them too much; you don’t want the potato flesh water-logged like mine. Mine still worked; I just needed more flour in the end to counterbalance the excess moisture. So, do what I say, not what I do. 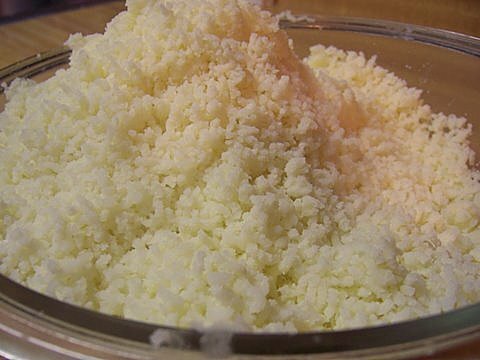 After they’ve finished boiling, pull them out and rice them together with a stick of butter (8 tablespoons). 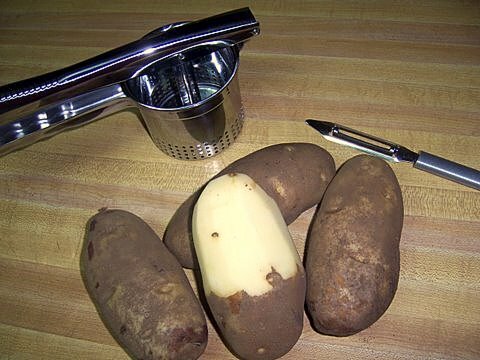 Hint: that nifty little gadget pictured here is a potato ricer. Once riced, I threw mine in the fridge for a couple minutes to cool them down a little before I patted them down. If that’s too high maintenance for you, I’m sure you can just pat them down right after ricing them. Don’t smash them down, but pack them down enough that they’ll end up relatively solid. Inside the bowl, place a couple paper towels and cover with plastic wrap. The paper towels will absorb any condensation overnight. The next day, take the potatoes out and re-rice them back into the bowl. Now gather the rest of the ingredients and our supplies. Perhaps you don’t have that honkin’ lefse grill or graceful lefse wand. S’ok, neither do I. Along with the prepared potatoes, this is all I used. Ingredients to gather: Milk, salt, ground cardamom (optional, but seriously? Just do it; the smell is heavenly! 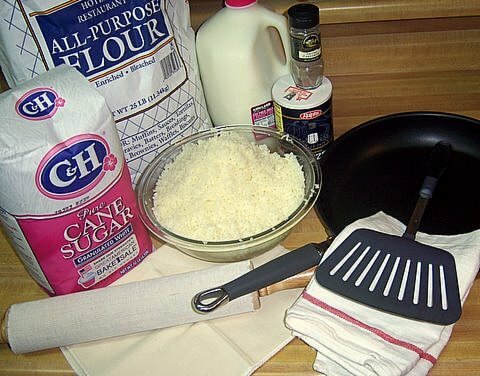 ), flour, sugar. Tools to gather: shallowest skillet you have, broad spatula, rolling pin with sock (I also don’t have the grooved lefse rolling pin; no problem), pastry cloth, two smooth towels, and that’s it! 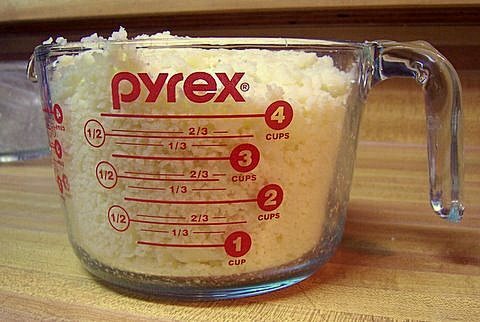 Measure out roughly (erring on more) 4 cups of the riced potatoes. 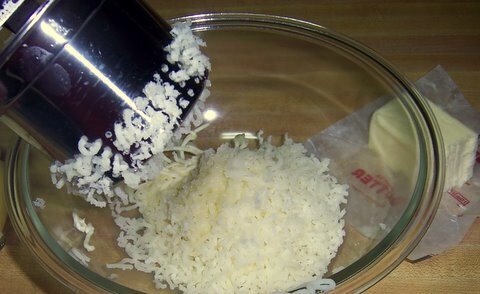 In a small bowl, mix together 1/3 cup milk, 1 teaspoon salt, 1 teaspoon sugar, 1/8 teaspoon cardamom. Pour into the potatoes and combine. 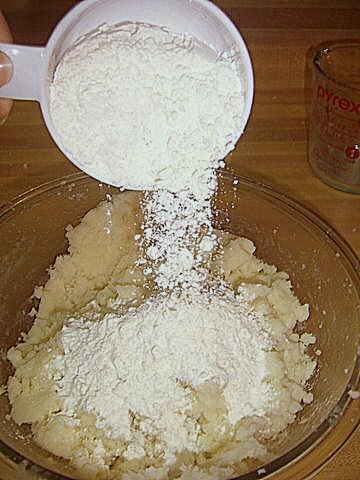 Add in two cups of flour. 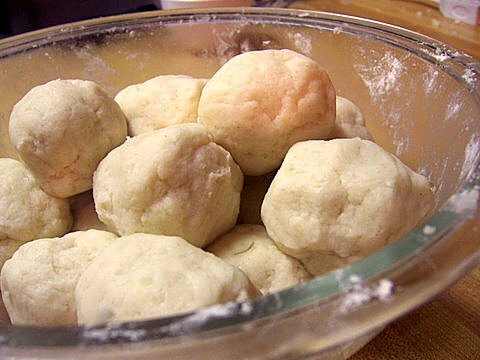 Work quickly to roll all the dough into egg-sized balls. Stick the bowl into the refrigerator; we want the dough as cold as we can get it before we start working with it. At the same time, turn the heat on the skillet. I turned my stove top on the highest setting. Don’t add any oil or butter; we fry lefse dry. In my little kitchen, there wasn’t room to have the production set up right in a row, but it still worked ok. My pastry cloth was fresh out of the pack, so I taped it to the counter and started rubbing flour into it. Keep rubbing flour into yours until it doesn’t hold any more. Seriously, you don’t want your dough sticking to the cloth. Same with the rolling pin sock; flour it up! Next to the skillet, set up the two towels. This is where you’ll deposit the finished lefse. When you’re ready to begin, take one ball out of the fridge at a time, leaving the rest in the bowl in the fridge. Squish it flat, turn it over once on the cloth; you don’t want to over-flour the dough, but you don’t want it to stick. Roll it out using short strokes from the center out to the edge, lessening the pressure as you reach the edge. 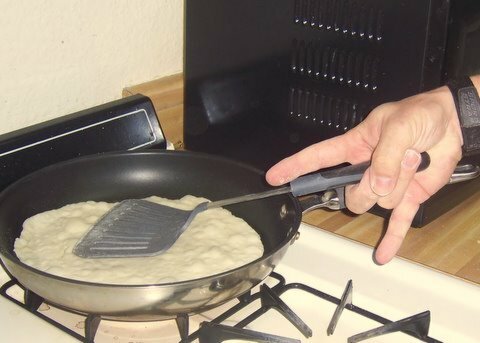 Once it’s rolled out, use the spatula, and your other hand for support, to transfer it to the hot skillet. Depending on how hot yours is (and you can adjust as necessary), let it sit on the one side for just a bit, searing it. 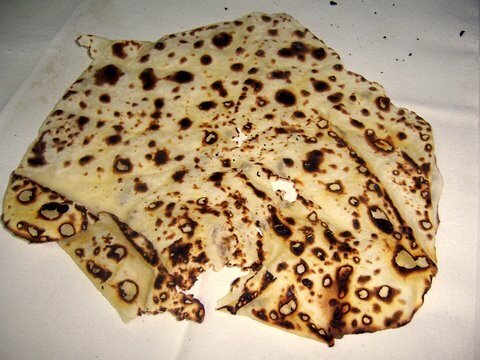 You don’t want the tell-tale lefse spots on this side, just light flecks of color. Flip it over, and cook until the lefse spots are light brown. Don’t cook longer than necessary, as overcooking dries it out. Play around with the temperature of the skillet (I turned mine down from the top heat by a little bit). And guess what. My first one turned out horribly! Not circular, it had stuck to the cloth when I tried transferring it, and I left it too long on both sides. After that one, though, I got into my lefse groove. I made sure to scrape, with a knife, any dough that had been left behind on my cloth. I also rubbed in extra flour over that spot. 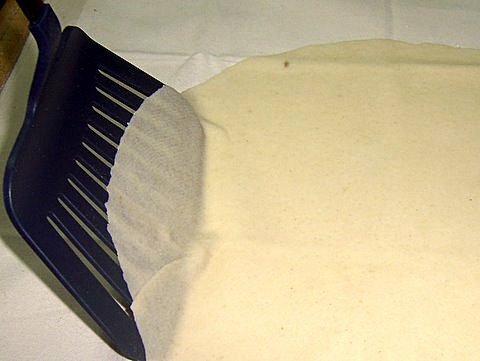 Remember to dust flour over the whole surface and sock between each sheet, just don’t over-flour. I rolled out subsequent balls of dough just the way my great-grandma said to: when you think you’ve rolled it thin……start rolling! Don’t know how thin you should get yours? See if you’d possibly be able to read a newspaper through it. Once the lefse is finished cooking on the second side, transfer one on top of the other, between the two towels and cover the stack immediately. This is to help them cool, but to trap the moisture in. Even Hubby joined in on the fun. He thinks making lefse ROCKS! Now, for those readers who perhaps don’t know how to eat this delectable goodness, Hubby again steps in to demonstrate. 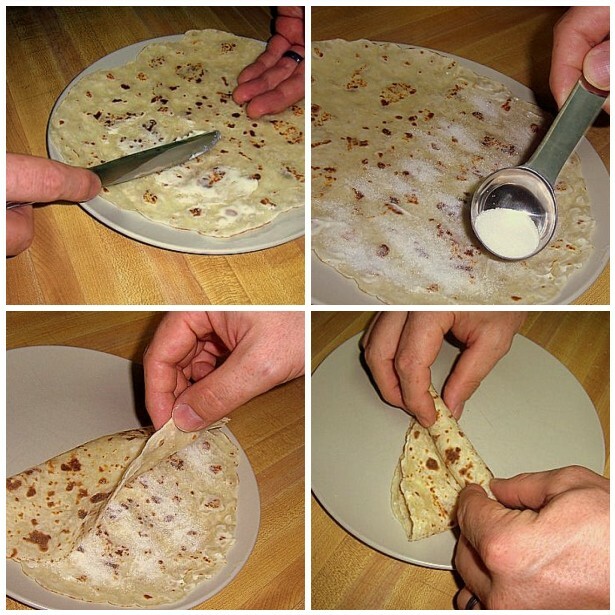 The only change from the pictures below is that, depending on how big you made your lefse, I’d cut the circle in half, butter half of that, sugar it, fold it over, and roll that up. Otherwise it gets too log-ish. Uff da, I know this was long, and if you stuck with me to the end, tack så mycket! I had a wonderful time making mine, and I hope you give it a try yourself! I think lefse-making will become a holiday tradition in our family…. Thanks, Hibby! 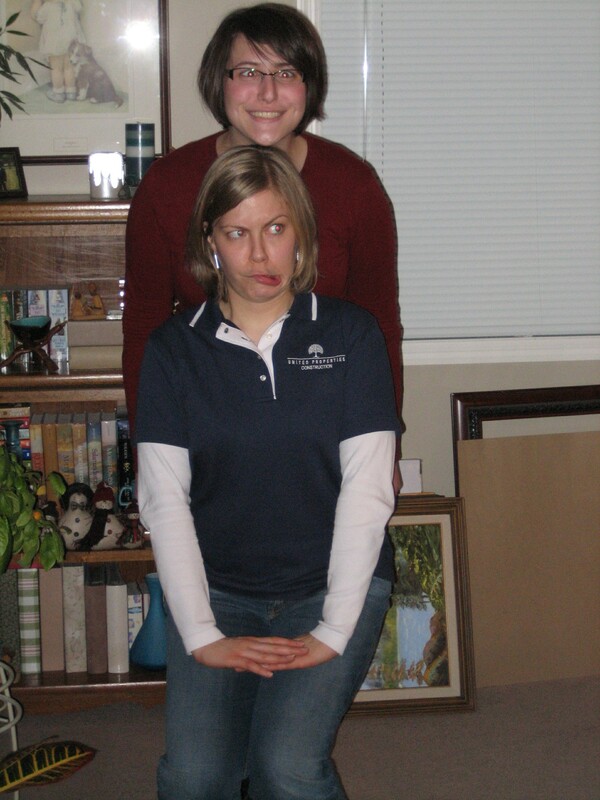 And because I can’t resist “introducing” you further to this lovely individual, and I know how much she would love me for posting this, here’s a photo of Hibby and I being awesome (circa January 2007–can you believe it was almost 3 years ago????). Heh heh. Nildie! Congratulations. I will email you with information about picking up your tickets. Thanks to everyone for entering. And remember the discount code mentioned in the first post. 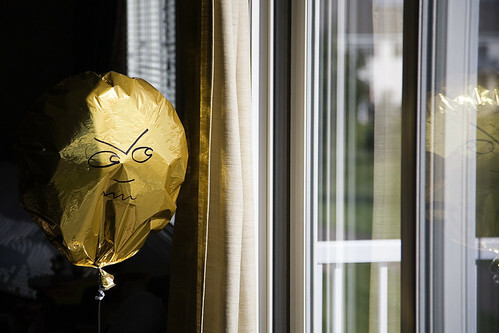 I’ve read this bloggy carnival over at Conversion Diary before, but never taken part. Well, today it is the perfect thing for me, since I have some random things to mention, but not much of a coherent post. 1. I missed my own 2nd Blogiversary. Oops. Does a blogiversary count when you only post about once a week? These last few months have been insane, I tell you, and blogging really was on the back burner. I’ve missed it, and I’ve missed my usual rounds and comment-making. 2. My blogroll disappeared at some point. Maybe it was during a WordPress upgrade? I don’t know, but all my linky love is gone. I hope to resurrect that sometime in the near future, and maybe even update it a bit! 3. 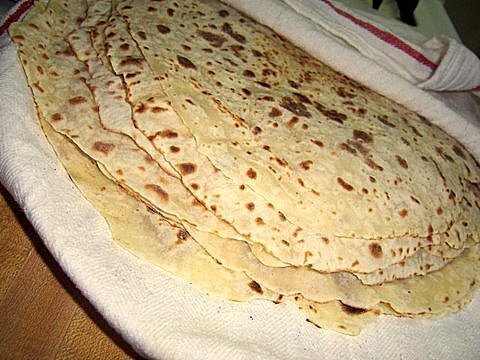 A guest poster (whom I love dearly) will be sharing here on Monday how to make lefse! I can’t wait for you to read her tutorial and see all the fantastic step-by-step photos to go with it. Also, remember that day will be the drawing for the Disney on Ice tickets, so sign up while you can! 4. Pioneer Woman is here in the Twin Cities tomorrow! Anyone else going to meet her or get your cookbook signed? 5. Another thing I’ve been slacking on is Anja’s monthly progress updates. She has changed so much since her 23-month post (since she’s now almost 27 months! ), and I have so much to share. Be prepared for a doozy of those coming up! 6. Though I haven’t had the mind to put up any Christmas decorations yet, we’ve been listening to Christmas music around here for several weeks. I have several favorite CDs that get played over and over. Any you’d recommend I add to my collection? I budgeted for one new CD this year. 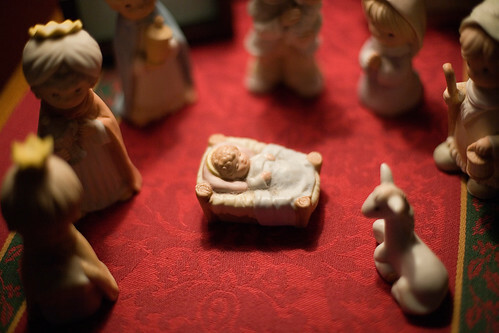 Speaking of which, if you haven’t been over to see Tsh’s 12 Days to a Peaceful Christmas, I highly suggest you go. We’ve been using it to plan our holiday season. Probably my favorite exercise she’s had us do is describe our ideal holiday and make a plan to celebrate in such a way. 7. What are you doing for Thanksgiving? Do you have any family traditions? It’s been ages since I’ve had time or an appropriate photo to share on I Heart Faces. 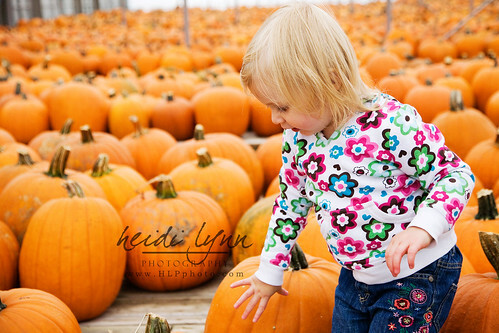 I still read their posts every week, but this week I have this lovely photo of Anja in a sea of pumpkins. Isn’t it fun? She was just enamored, and went around telling us which ones were big, which were small, and telling us which ones she wanted. Click on over to check out the other entries this week and/or submit your own! Disney on Ice Princess Classics – Giveaway! When my firstborn turned out to be a girl (I thought she was a boy—and was I ever wrong! 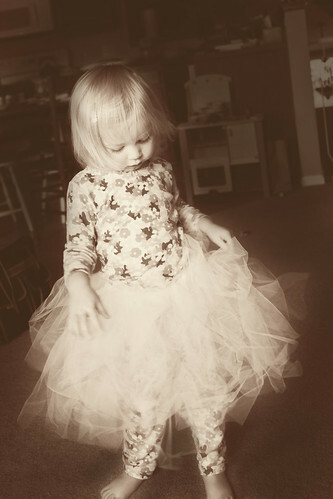 ), my main concern was, “What if she’s really girly and I can’t relate?” Turns out she IS quite girly. She’ll ask for a tutu so she can dance if I have music on, she grabs my makeup brushes and puts “pink on her cheeks,” and just yesterday she asked if she could wear a pretty dress to “be like a princess.” I don’t really ever talk to her about princesses, so I have no idea where she gets these ideas! That said, we’ll be taking her to the Disney on Ice Princess Classics show when it comes to the Xcel Energy Center in St. Paul December 10-13. And you can take your family, too! I have a package of four tickets to opening night (December 10 at 7:00 p.m.) of Disney on Ice to give away to one blessed reader! Simply leave a comment if you’re interested in winning, and I will randomly select a winner on Monday, November 23. If you’d like an additional entry, blog about the giveaway and leave a link to your post (not your blog home page, but the actual post) in the comments. Thursday, Dec. 10 – 7:00 p.m.
Friday, Dec. 11 – 10:30 a.m., 7:00 p.m.
Saturday, Dec. 12 – 11:00 a.m., 3:00 p.m., 7:00 p.m.
Sunday, Dec. 13 – 1:00 p.m., 5:00 p.m.
I’m looking forward to taking in this event with my family (Husband? Aren’t you going to just LOVE it? ), and I hope you can make it, too!